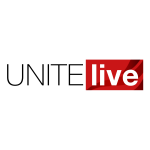 Unite is urging members of the public in Jersey to join in a massive protest over cuts to public services this Saturday (October 3). The States of Jersey government are planning huge cuts to public services because of policies to make the island more appealing as a tax haven for the rich and powerful. “We are faced with swingeing cuts to the public sector workforce – perhaps 500 jobs going from a 6,000-strong workforce,” said Nick Corbel, Unite regional officer. The proposed cuts will be debated next Tuesday (October 6). “Services that can be easily privatised and outsourced will be,” said Nick. “Charges for services like sewerage will be introduced and even the free television license for the over-75s will be withdrawn plus long term pay freezes imposed,” he added. Jersey is facing a budget deficit of £145m by 2019, which Unite says is mainly because of the reduction in the corporation tax rate. “The tax regime is geared to making Jersey more attractive as a tax haven compared with rivals, such as Switzerland and the Cayman Islands,” said Nick. The corporation tax rate has been reduced to make Jersey ‘more competitive’ as a tax haven. Currently the standard rate is 0 per cent, the rate for regulated financial services companies is 10 per cent, and the tax for Jersey utility and property income companies is set at 20 per cent. “The unions have called for a progressive and fairer tax system that benefits the majority of the population, not just the rich and powerful salting their assets, but the government has rejected these proposals,” added Nick. The march starts in Howard Davis Park, St Helier at 10.30 and ends with a rally in The People’s Park. “We are all very concerned about the consequences of these cuts to Jersey’s local economy,” said Nick. “With rising unemployment, low wages and reduced spending power, local businesses will feel the impact,” he added. Unite is calling on the state of Jersey to abandon these misguided cuts to public services. “This is all before we consider the damage to vital public services that islanders rely on each and every day,” added Nick.